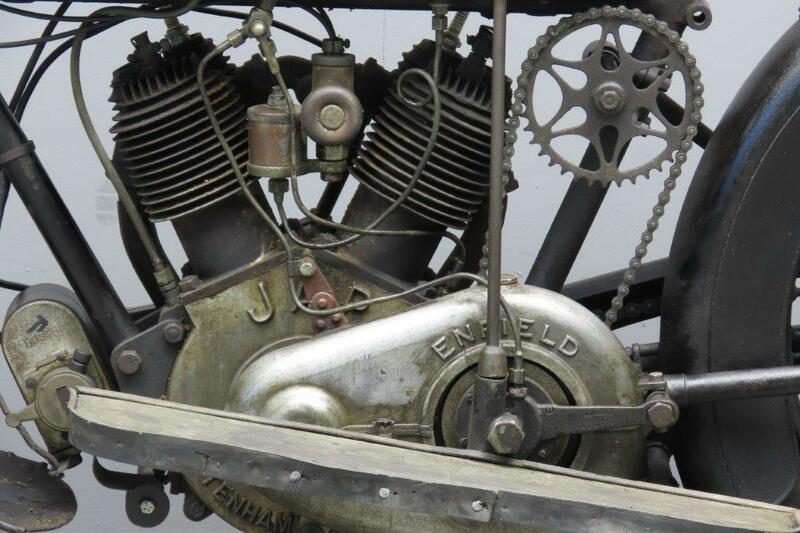 The Redditch-based Royal Enfield firm entered the motorcycle business as early as 1898. In the early days engines from De Dion-Bouton powered their tricycles and quadricycles; Minerva supplied the power for the first motorized cycles. 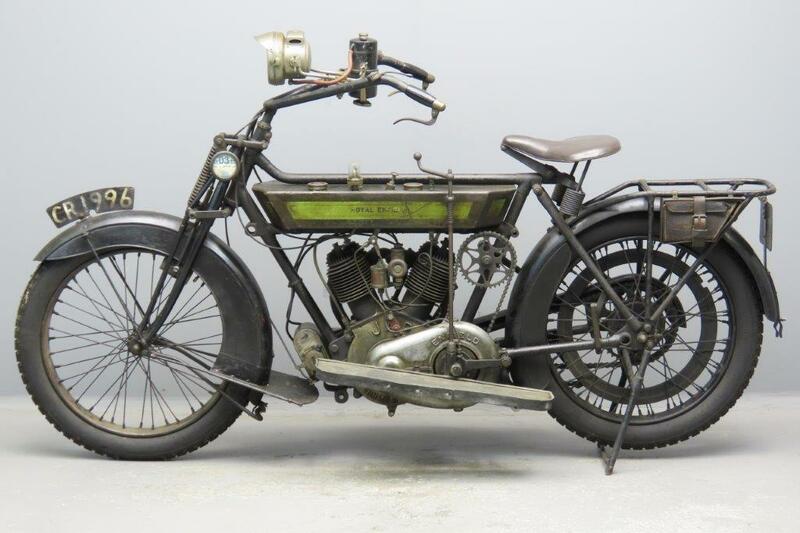 By 1904 the firm was concentrating on car production, resuming motorcycle manufacture in 1910 with a 2¼ HP v-twin Motosacoche-powered lightweight. 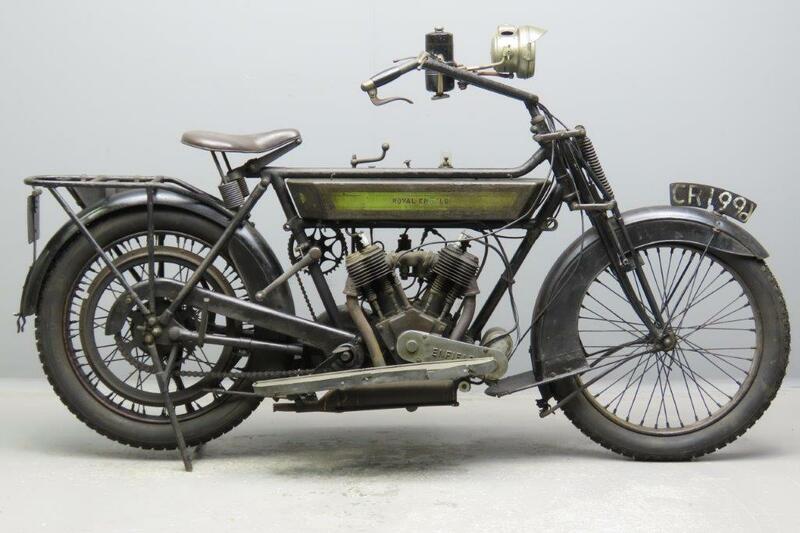 A 2¾ HP version with two-speed gear and all-chain drive followed. In the rear wheel hub a rubber cush drive was fitted to take the punch out of the chain drive. 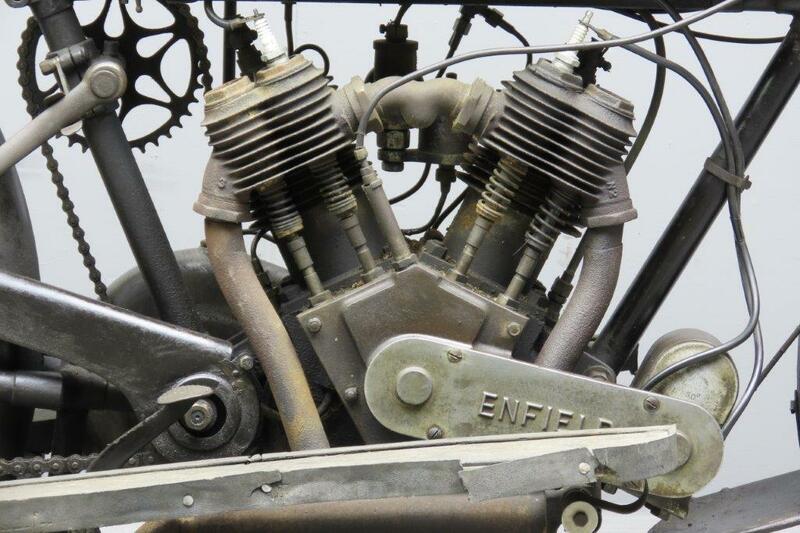 This feature was to be incorporated into all Royal Enfields until the very end. 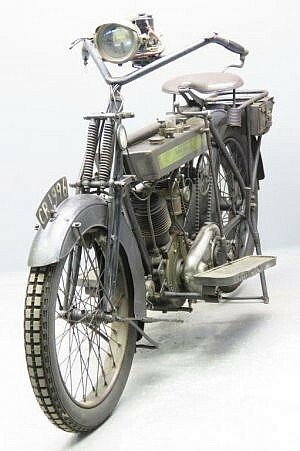 The famous JAP v-twin-engined 6 HP sidecar outfit model joined the range for 1912 and remained practically unchanged for 1913. The machine we offer here proudly displays its age. 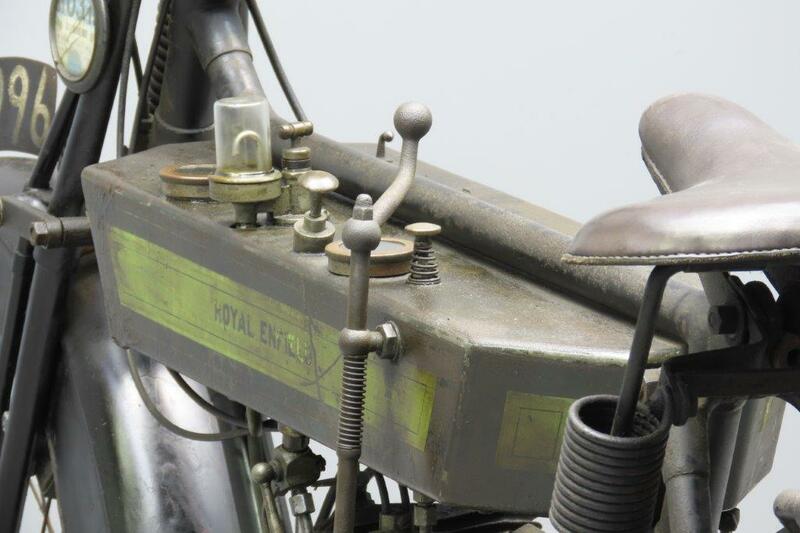 Its original enamel has been preserved as much as possible and this gives the machine a rugged and charming character. 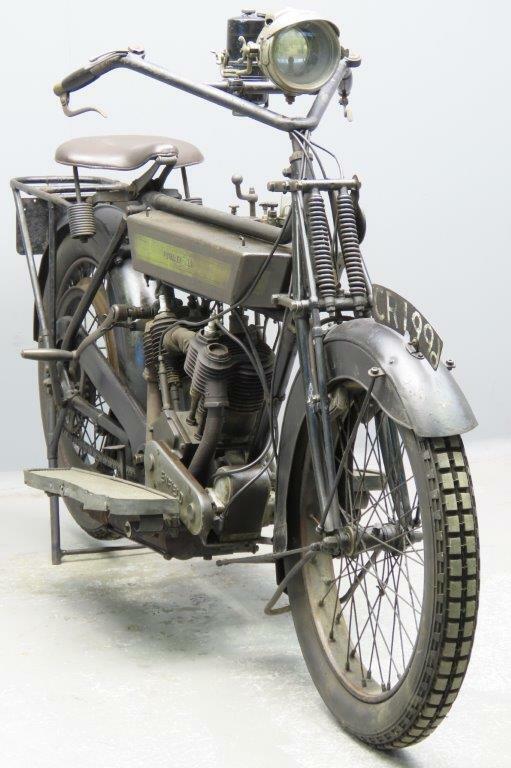 This practical and indestructible veteran is fitted with Enfield two speed gear, Bosch magneto, Lucas acetylene lighting and AMAC carburettor.